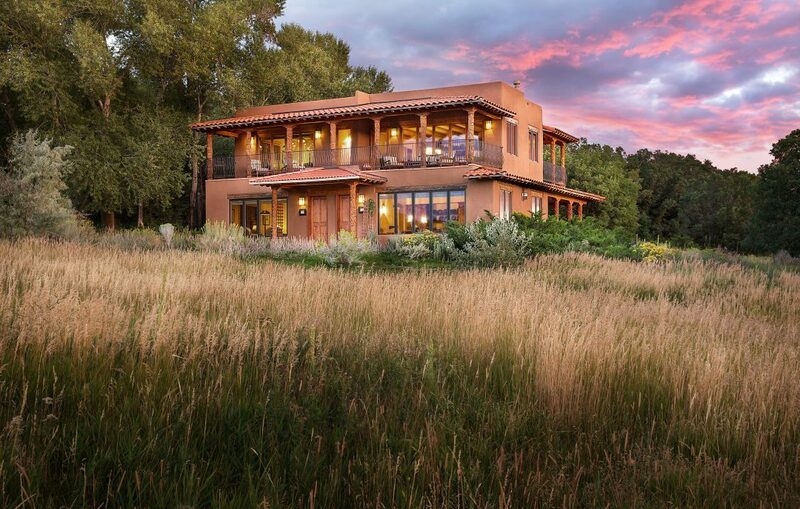 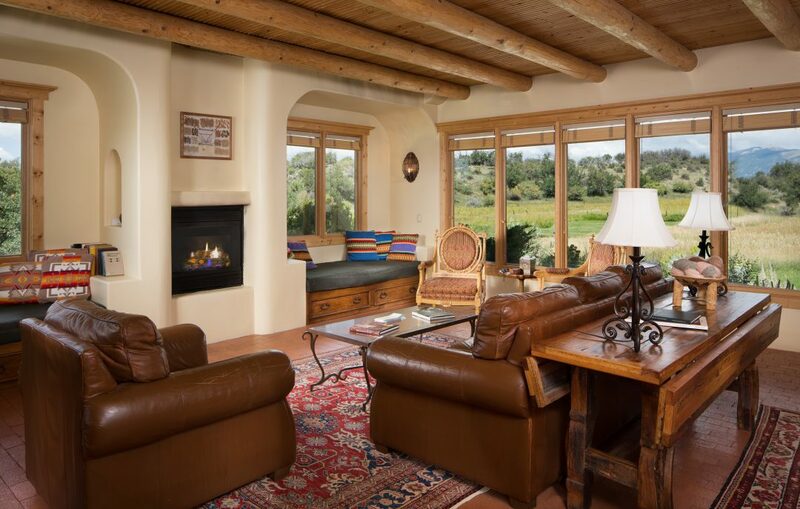 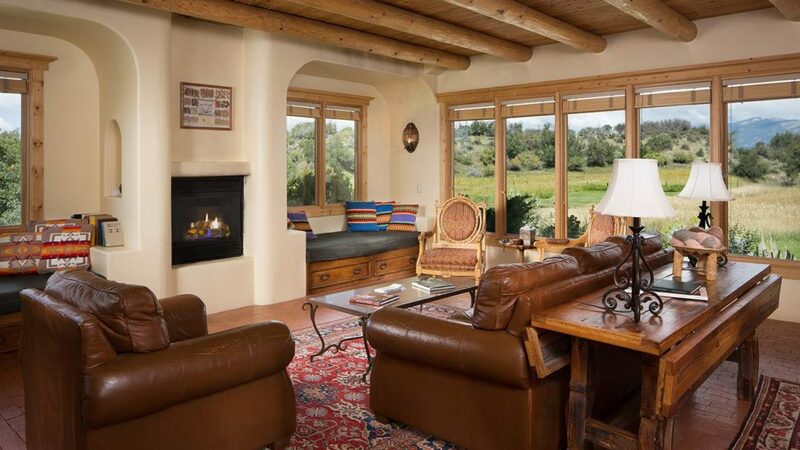 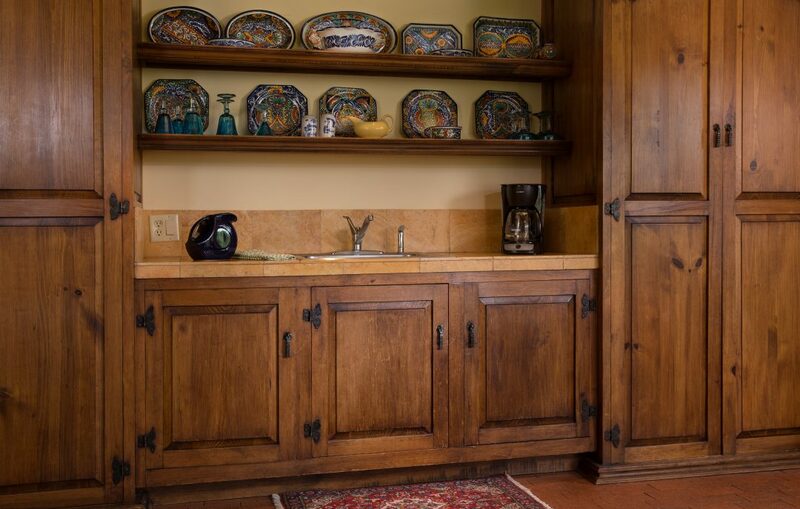 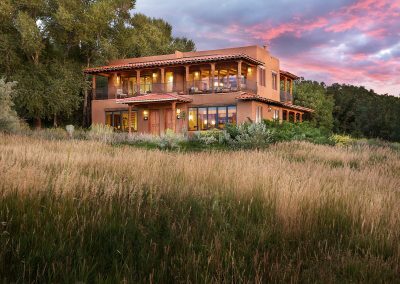 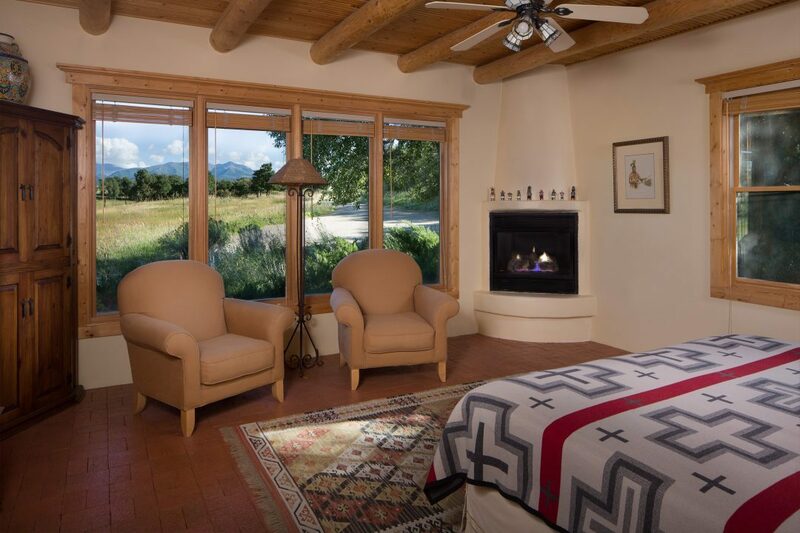 The Lower Spring House welcomes guests with Southwestern luxury. 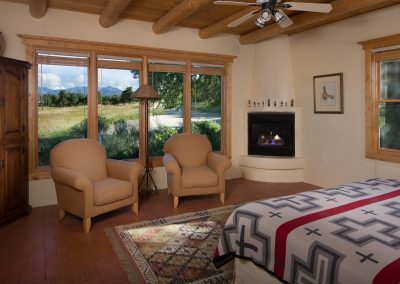 With easy access through a romantic garden of lamb’s ear and lavender you are greeted by warm tiled floors and an adobe style fireplace. 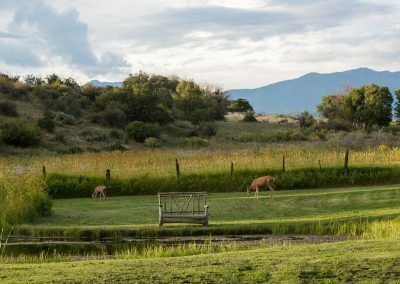 Take in spectacular views of the La Plata and the nearby spring-fed pond. 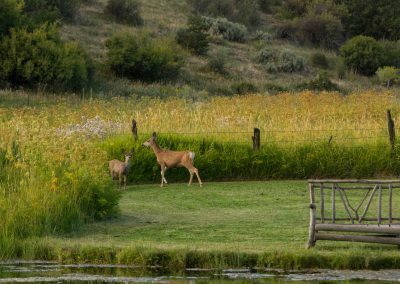 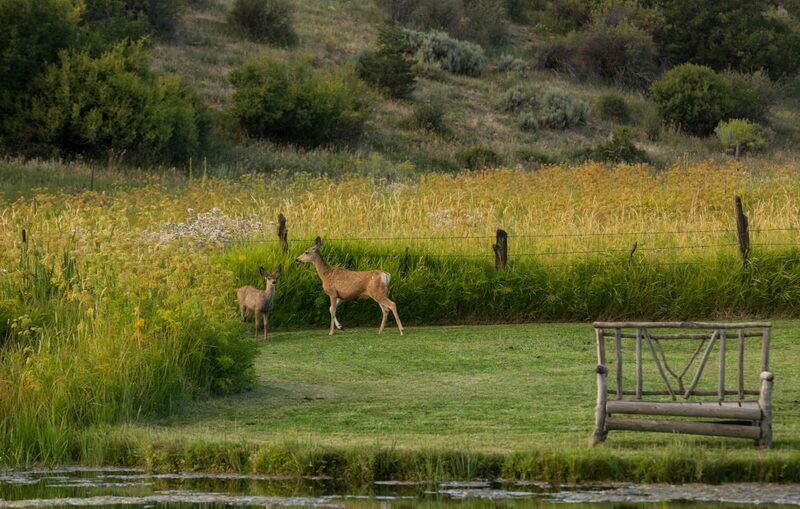 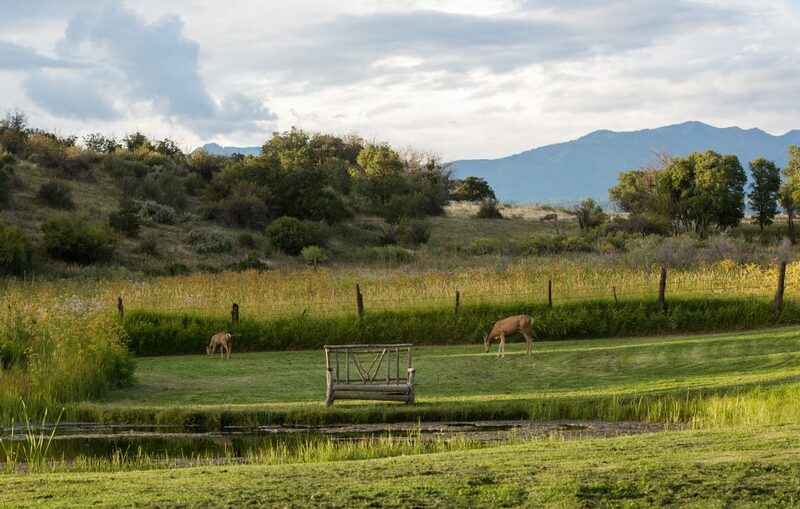 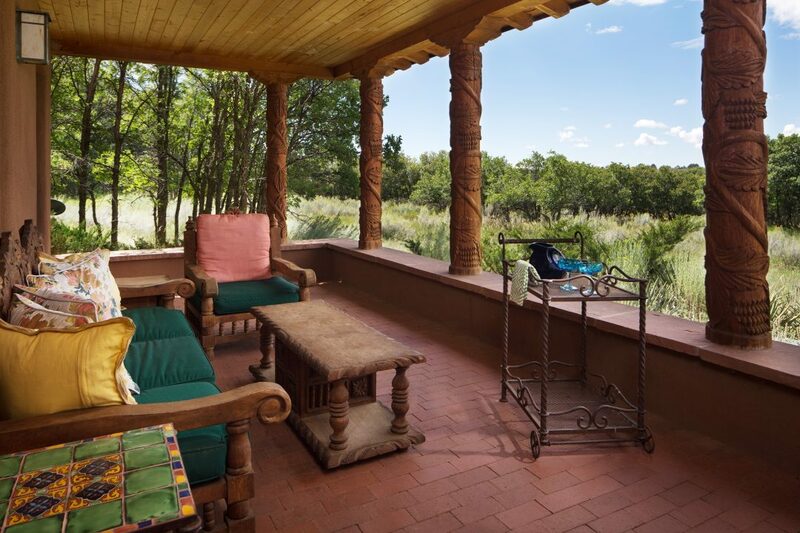 In the evening, enjoy a glass of wine from the covered porch and look for wildlife in the surrounding countryside. 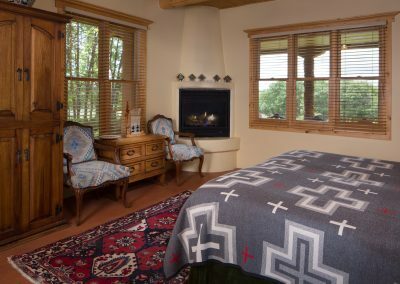 The two master bedrooms offer relaxing sanctuary after a day of exploring all Durango and Mesa Verde country has to offer. 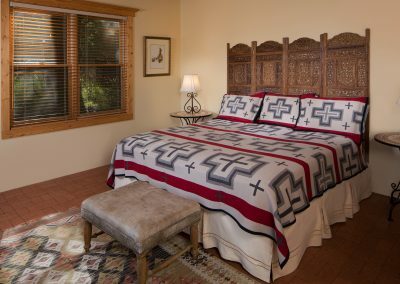 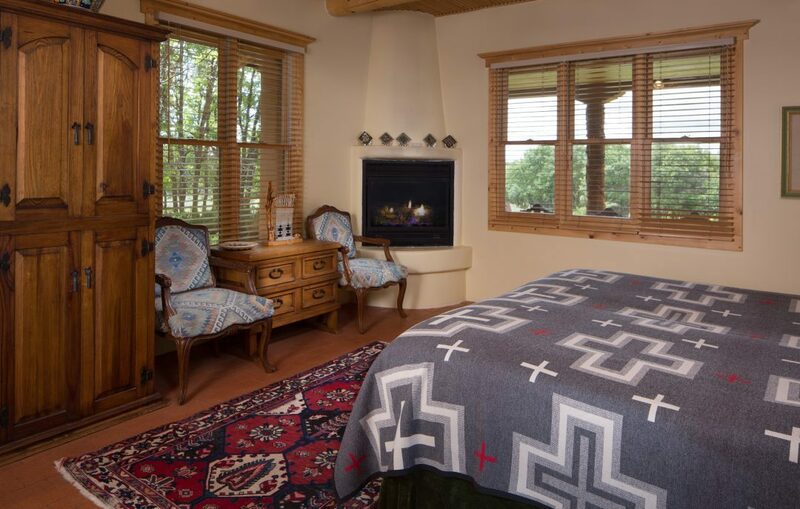 Each bedroom is complete with a pillow top king bed and romantic gas burning adobe style fireplace. 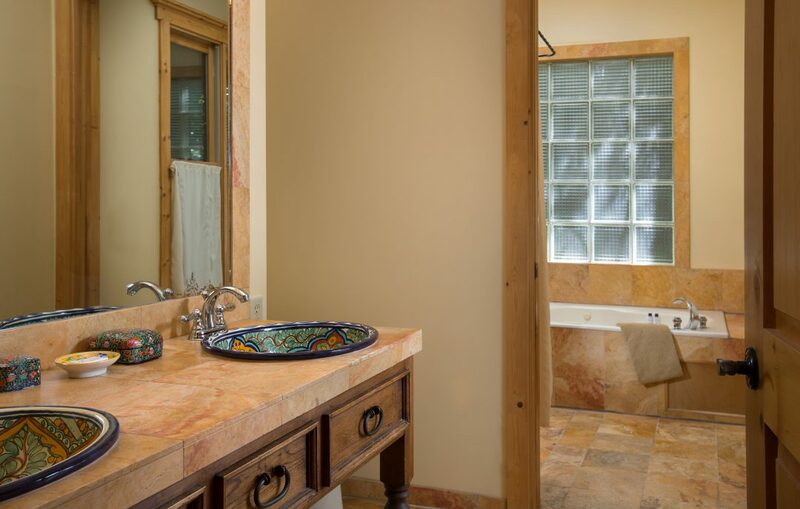 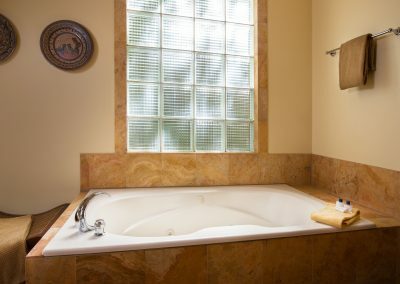 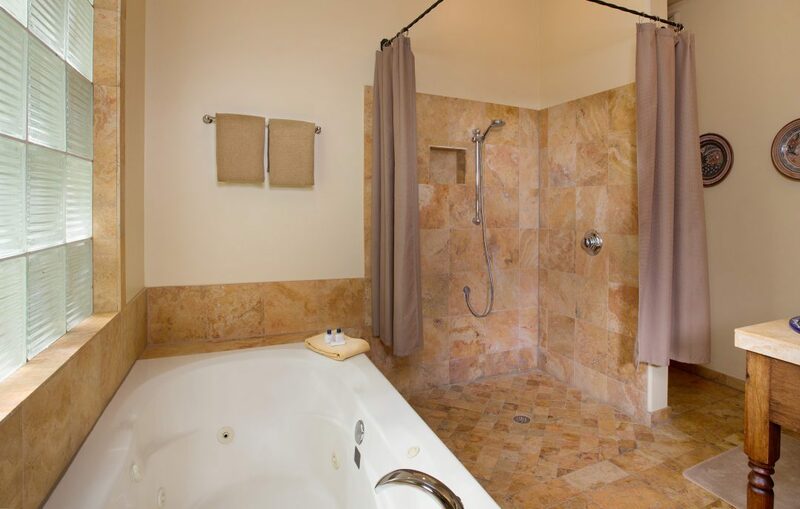 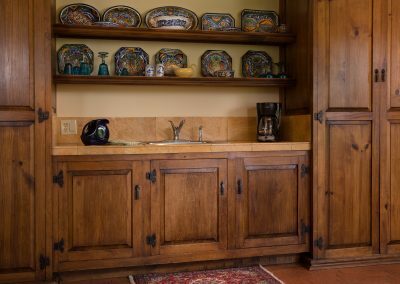 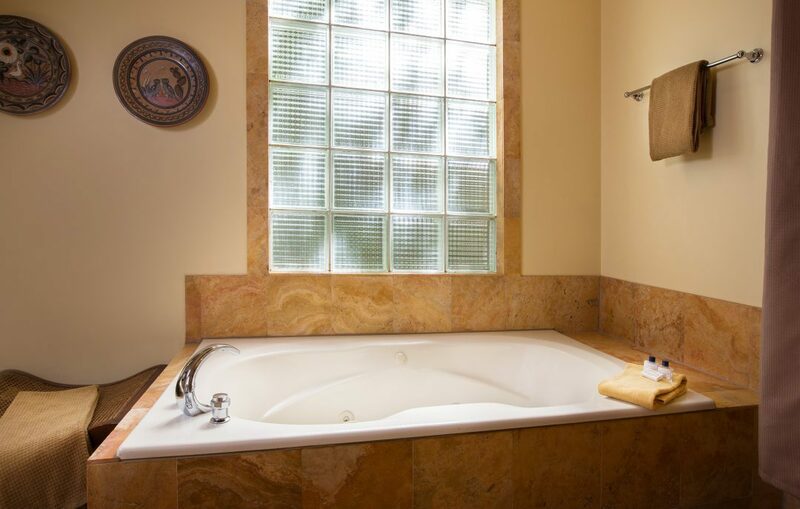 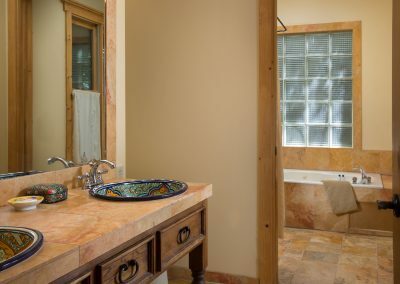 Both master bedrooms have a private warm tiled hacienda inspired bathroom with large walk-in shower, his and hers vanities, and a large jetted tub. The large wraparound covered deck is a great place to sit and reflect at day’s end. 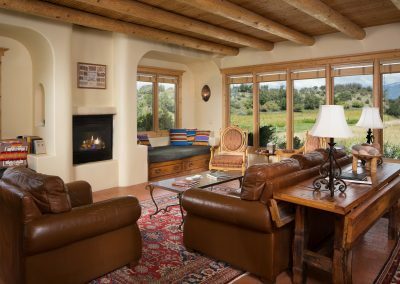 The spacious living area has a complete wet bar, gas burning fireplace, comfortable sitting area, and two twin daybeds, which can sleep additional guests. 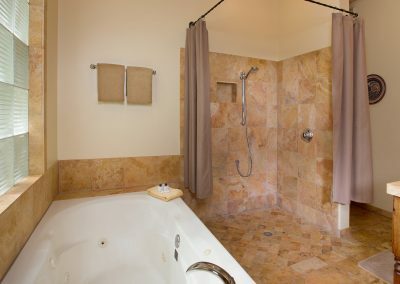 The additional half bath off of the living area makes Lower Spring House an ideal home base for families or couples traveling together. 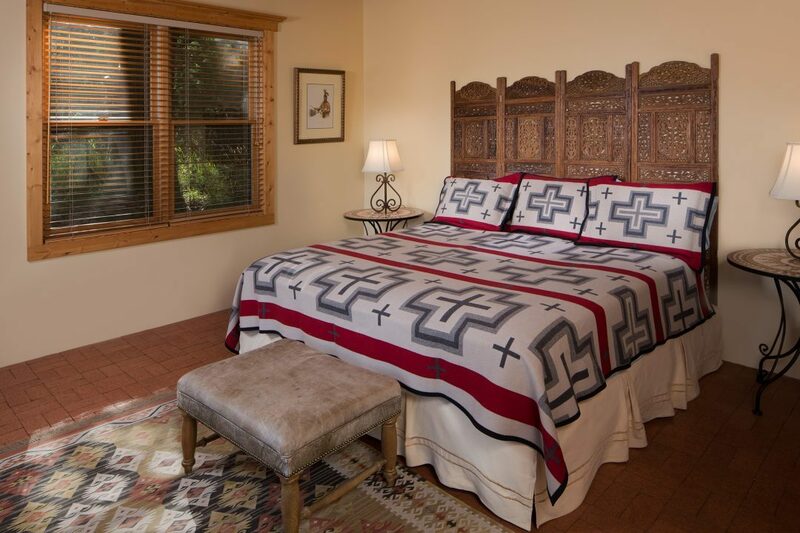 Sleeps up to six guests. Rent both Upper Spring and Lower Spring for groups of up to 12.